How many times have you had a great idea come to you, only to forget it a minute later and never make any use of it? How many times have you wanted to do something awesome but never took a single step towards actually doing it? How many times have you started a big project, only to quit halfway through or near the end when it got difficult? Most of us have GREAT ideas and intentions, but how often do we ever actually put the really good ones to use? The answer: Not that often. Why is that? And what would happen if we actually took action from beginning to end our best ideas and intentions? What would happen if you actually stuck to the diet? If you actually stuck to the workout plan? If you actually wrote that book? If you actually launched your business? If you actually took that trip? You KNOW things would be better for you. You KNOW it would make yourself proud. You KNOW it would impact the world. So why don’t you do the things you know you can? I think it’s because you have too much sh&t going on in your life. You have a cluttered mind. Thinking of all the things you need to do, and constantly adding in new things to the list without ever finishing the list. With a cluttered mind it’s easy to say yes to invites that you probably should be saying no to. It’s easy to give up when things get difficult. But the worst part of having a cluttered mind is that it makes it SO easy to forget what it is you truly love and lose sight of what truly excites you. Imagine if you instead had crystal clear mental clarity and knew exactly what you wanted and were excited about how to get it? Mind Mapping is THE BEST WAY to get your thoughts out of your head and onto paper where you can clearly see what exactly is going on in your head. Mind Mapping gives you unparalleled certainty on what you should do, what the first step should be, and how you should do it! So many times we never take any action toward our dreams because we don’t actually have a clear vision of the dream, and if we do, we’re uncertain of how to do it. Getting clear on your goal is like getting clear on the fact that you’re supposed to win the basketball game. Finding out what the first step should be (or what we should do next) is like finally being able to see the basket on a basketball court. Mind Mapping allows us to get all of our best ideas and thoughts out onto paper so we can begin to move them around and connect the ones that fit best, like a puzzle. When we have too many great ideas in our head, we are at risk for losing them all by not getting on paper quickly. Therefore, it’s vital to your success long term to make Mind Mapping a habit of yours. I like to do it at least once a month, but the more I seem to do it, the more I seem to accomplish. How successful can you be? Below you can see an example of my Mind Map for my upcoming 10 day Internet Fast. This phase is super quick and simple! Just grab a blank sheet of paper and do your best to draw a full circle in the middle of the page. 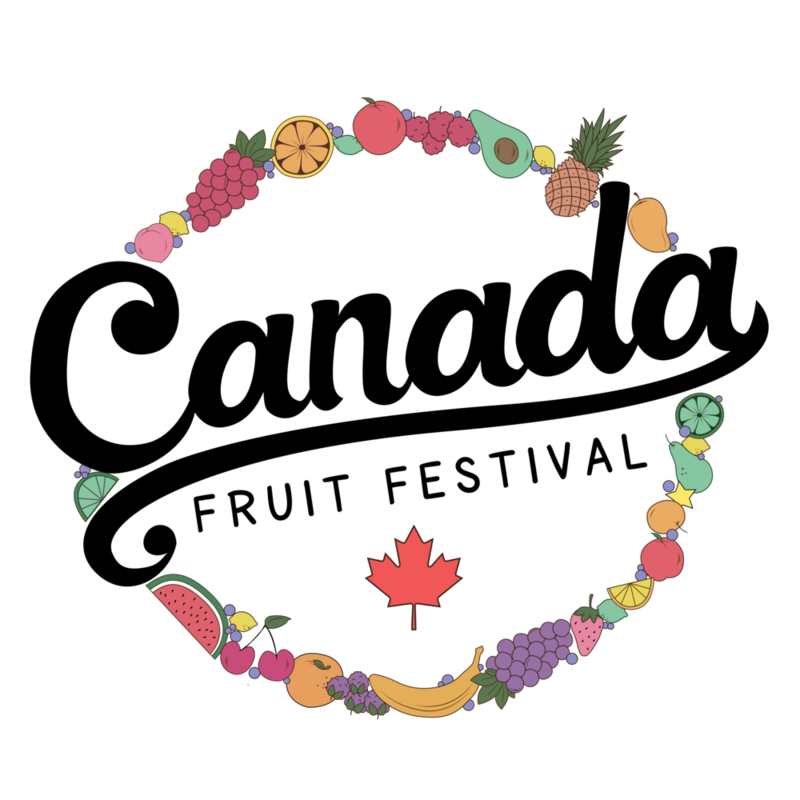 Once this circle is drawn and you realize how beautiful your artwork is, it’s time to attempt to draw some straight lines protruding from the circle. I like to draw 6. 1 up, 4 out to the sides, then 1 down. Now it’s time to create some categories. 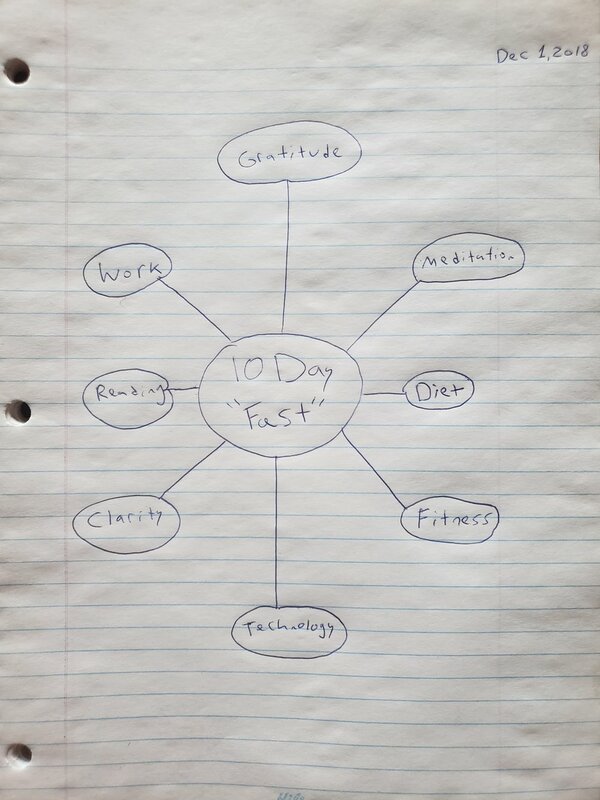 In the example above I’m brainstorming my ‘10 day fast.’ As such, I’ve chosen a few areas relating to this fast that I feel are extremely important to me. Surprisingly, this phase is typically the hardest, because you’re starting with nothing. I find the best way to get started with it is to just think about all the things I want, then give each of them a broad category name. Your goals may be very different than mine so your Mind Map may be very different than mine as well. Feel free to make up whatever categories you want for your brainstorm. The final phase is the flow phase and it’s the most powerful phase. I use it for listing things that I actually want to do, be, try, or attain. You can also consider making some ‘sub-categories’ in this phase. Either way, just unload the mind and write out all your ideas here, the good, the bad, and the ugly. Once all your ideas are out, you can admire your finished artwork and pat yourself on the back for creating clarity where there was once only confusion. Namaste. Download & Print Your Mind Map Here. Mind Mapping is just a tool. It’s by no means the ultimate cure all. To get major results requires major clarity backed by major action, and mind mapping is just a way to attain that level of clarity.